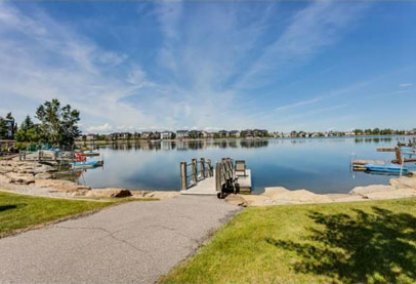 See today's Chaparral homes for sale & South Calgary real estate listings below. Chaparral encompassed north by Highway 22X, east by the Bow River Valley, south by 194 Avenue and west by Macleod Trail. Residents have ample amounts of recreational opportunities. 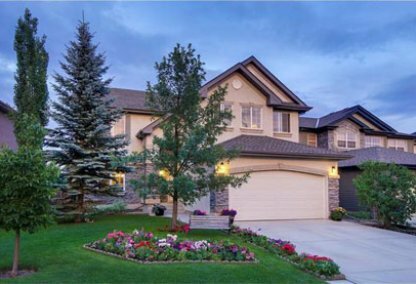 For information about Chaparral neighborhood properties for sale or to schedule a private home showing, contact your Chaparral Calgary real estate experts today. Chaparral housing market statistics: As of April 20, 2019 there are currently 84 properties for sale in Chaparral listed as active, with an average asking price of $493,816. The highest-priced property is $1,189,900; the lowest priced property can be purchased for $189,900. Chaparral neighbourhood listings have an average price of $270 per square foot, based on listings with 3.3 bedrooms, 3.2 baths, and 1,842 square feet of living space. Want to buy or sell a home in Chaparral? Call Justin Havre at RE/MAX First at 403.217.0003, your neighborhood Chaparral real estate agents and agents ready to help with the Calgary Chaparral housing market. There is a large lake where residents can fish, boat, skate and dive. The city’s extensive pathway system in the Bow River Valley is connected to the pathways in Chaparral. Schools are in the area. Well connected to major transportation arteries. Macleod Trail offers plenty of shopping, recreation and entertainment facilities. The Chaparral Community Association provides services and activities for neighbourhood residents. Students in the Chaparral neighbourhood attend a number of schools in the area including Chaparral Elementary School and St. Sebastian Elementary School. Planning to buy or sell a home in Chaparral? Let our real estate team guide you in your hunt for the perfect home and professionally mediate the selling of your current home. As Chaparral neighborhood real estate agents, we know the ins and outs of the Chaparral real estate market. We'll point you in the right direction today! Contact Justin Havre at RE/MAX First to find out more about buyer or seller representation. Thinking of selling your Chaparral home? Check out our free home evaluation, where you can instantly price your Calgary home online in minutes!